All you need are 2 bowls, a hand whisk, a pan to bake them in, and a rubber spatula to scrape all the lick-able chocolate batter into the pan. Oh–and an oven! How do you make a decadent chocolate brownie with no dairy and no egg? Flax eggs are ground flax seeds mixed with warm water—which, in 10 minutes, turn into a gelatinous viscous mixture. For rich chocolate brownies, a flax “egg” fills in quite nicely for a chicken egg. How do you make a rich dark chocolate brownie gluten free? Of course brownies are typically made with wheat flour. 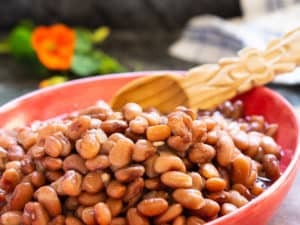 Here, the wheat is replaced with a combination of three alternative flours–almond, buckwheat, and brown rice—each with unique flavor and character contributing to the whole. 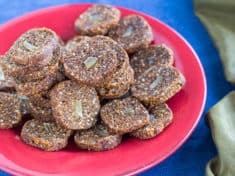 With toasty, almost cocoa-y, and honey nuances, buckwheat flour is milled from roasted buckwheat seeds. 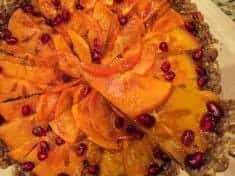 You might think buckwheat is a strain of wheat or another grain, but in fact buckwheat is an herb, and a cousin of rhubarb, and gluten-free. Buckwheat flour’s fairly assertive flavor balances nicely the almond and rice flours. Finely ground from blanched sweet almonds, almond flour is a gluten-free baking staple in my kitchen. 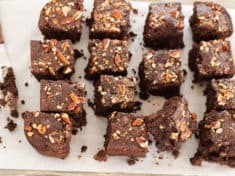 Almond flour adds a welcome protein boost and subtle buttery flavor to these chocolate pecan brownies. 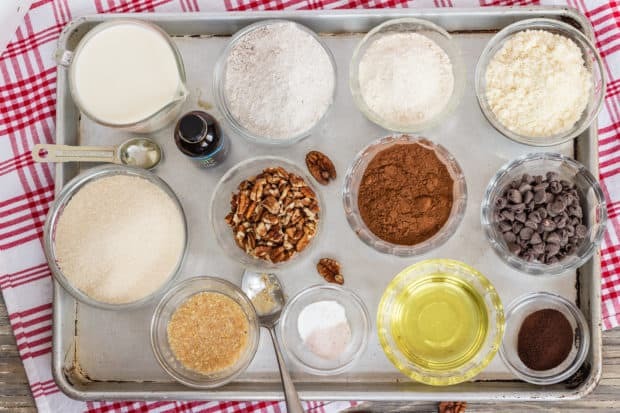 You’ll like the almond flour in these chocolate chip almond cookies, gluten free cowboy cookies, and orange almond honey cake, all blue-ribbon recipes here on the blog!! 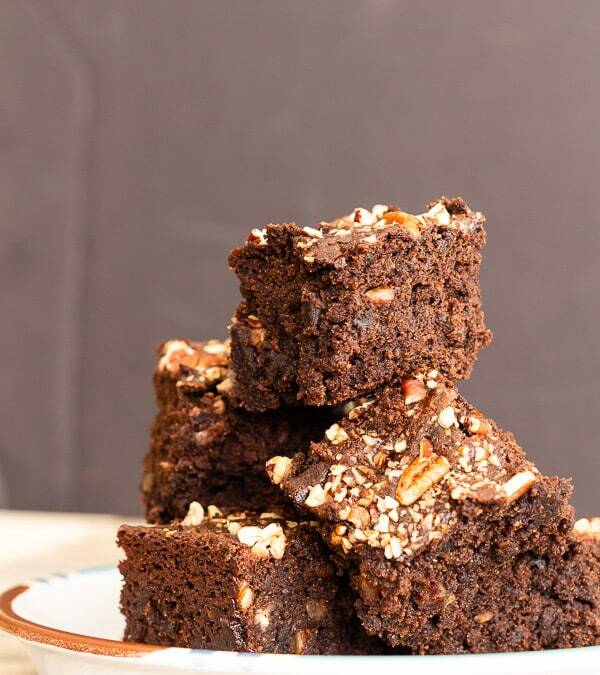 In addition to buckwheat and almond flours, these brownies have brown rice flour too. Brown rice flour adds structure to the crumb, helping these gluten free brownies from being too “gummy”, which is sometimes a problem in gluten free baked goods. With the germ and bran intact, brown rice flour has a toasted, almost caramel-y flavor and a graininess that softens as the brownies sit. 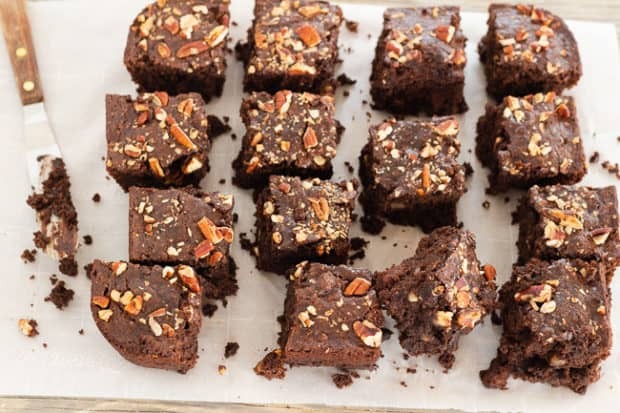 Which means these chocolate pecan brownies are even better the next day!! *** I found all three gluten-free flours in the bulk bins at our natural food grocery store, a bonus because you only need to buy the amount needed for one recipe. Instant espresso powder is chocolate’s best friend. 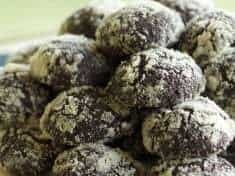 Without adding distinct coffee flavor, it heightens chocolate richness in cookies, cakes, and brownies like these. I keep a jar on hand for baking and for yummy cold weather White Chocolate Mocha. As a pastry chef, I always used Medaglia D’Oro instant espresso powder, and only recently learned that King Arthur Flour, and DeLallo, of awesome pasta fame, have espresso powder in their product lines. For recipe accuracy, it’s best to weigh your flour. I use a small kitchen scale that easily switches back and forth from ounces to grams. Recipe adapted from Food 52 Vegan/Gena Hamshaw. Make it a fabulous week–get in the kitchen and bake something chocolate! 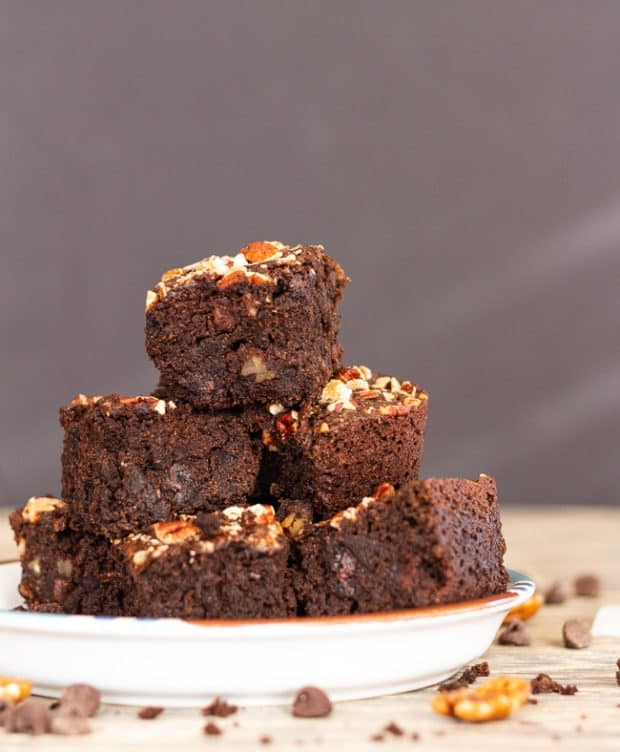 With rich chocolate flavor from both cocoa powder and chocolate chips, everyone loves these gooey vegan and gluten free brownies. Makes one 8-inch square pan. These brownies freeze beautifully! Stir the water and flax meal together in a small bowl. Let sit at least 10 minutes, while you prepare the other ingredients. Preheat oven to 350°F. Lightly coat the sides and bottom of an 8 x 8-inch square pan with oil or cooking spray. 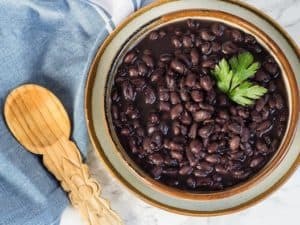 Whisk the buckwheat, almond, and rice flours in a large bowl with the sugar, cocoa powder, baking powder, salt, and espresso powder. Whisk the milk, oil, and vanilla into the flax mixture. Add the liquid to the flour mixture and stir until just combined. Quickly stir in the chocolate chips and pecans. Bake 40 to 50 minutes, until a toothpick inserted into the center comes out clean. For recipe accuracy, weigh your flour. I use a simple inexpensive kitchen scale that can be switched back and forth from ounces to grams. If you can only find golden flax seeds, you can grind the seeds in a coffee or spice grinder. I keep a small jar of espresso powder in the pantry for desserts like these brownies. These brownies taste even better the next day. They have a graininess from the brown rice flour, that mellows into the brownies overnight!